Miss Universe 2013 was the 62nd Miss Universe pageant. It was held on November 9, 2013 at the Crocus City Hall in Krasnogorsk, Moscow Oblast, Russia. Olivia Culpo from the United States crowned her successor María Gabriela Isler from Venezuela at the end of this event. Eighty-six countries and territories participated in the event. 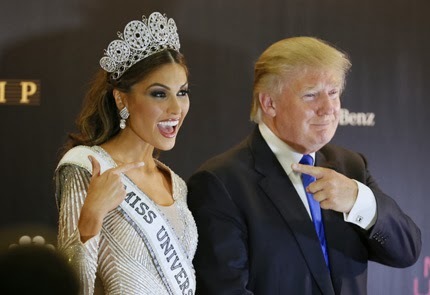 The pageant was televised live at 10:00 p.m. MSK in various broadcasters all around the world and it was also telecast on NBC and Telemundo in the United States, with the tape delayed primetime telecast at 9:00 p.m. ET, which is nine hours behind Moscow.